A HEARTY START. My friends usually sleep in, but I’m an early riser. I always make myself breakfast on Sundays so that I’m good to go for the day. Then I get ready to go out and explore Copenhagen. mornings. For this, I love to go to either Paludan’s Bog and Cafe (bog means “Book” in Danish — the cafe walls are covered in them) or the Black Diamond Library. If it’s nice out and I don’t have to work on my laptop, I’ll go to one of Copenhagen’s many parks to do some reading. Either way, I’ll have a cup of Earl Grey tea with me — it’s my favorite, and the Danes seem to like it more than Americans do! PERFECT SANDWICH. If you’re looking for sandwiches, Copenhagen is the right place for you. My friends and I usually treat ourselves to lunch out on Sundays. We love Glass Market and Paper Island, which have many food stalls of all different cuisines — from Thai food to classic Danish smørrebrød to burgers and fries. I’m also obsessed with District Tonkin — if you’ve never had Báhn Mi (Vietnamese sandwiches) before, it’s a great place to try! TIME TO BE TOURISTS. While we are living in Copenhagen, it’s still important for us to see all of the sights and cultural spots the city has to offer. On Sunday afternoons we usually do something on the touristy side of things. Copenhagen has fantastic museums, my favorite being the Design Museum, which is free for students and people under 26. 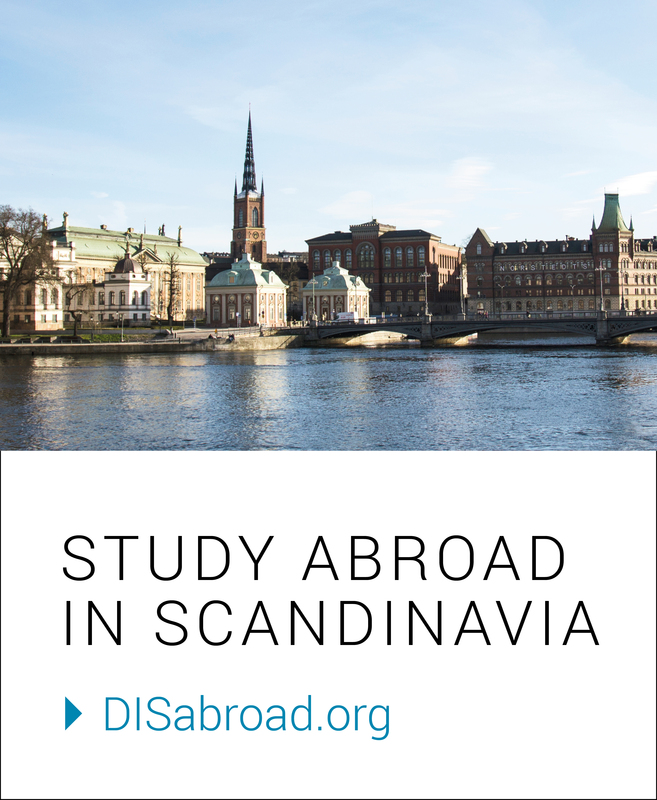 We’ve also done things like visit the top of Christiansborg, go to Amager Strand (the beach), and spend an afternoon at Tivoli, Copenhagen’s amusement park. My favorite Sunday-afternoon activity was going with a picnic to see a jazz concert at the Kings Garden as part of Copenhagen’s Jazz Festival. ERRANDS EXIST HERE TOO. Sunday’s coming to a close, and I have to scurry out to do errands. I usually take the scenic route to the grocery store across the harbor from where I live. I was nervous about grocery shopping in Denmark, but it’s pretty easy — you might need to use Google translate on your first trip, but after that it’s not too hard. Plus, the Danes love all sorts of great food — there’s no shortage of organic produce, rye bread, and candy. THE OVEN IS IN CENTIGRADE. I always make dinner at home — it’s healthy, relaxing, and saves a lot of money. My Residential Community (we call it our “house”) has a nice kitchen with enough space for a few people to cook at a time (coming from New York, this is a blessing!). Not everything is the same (see aforementioned centigrade oven), but cooking in Copenhagen makes Denmark feel more like home. HYGGE. Ok, you knew you couldn’t get through a post about life at DIS without a mention of hygge. My floormates and I usually spend Sunday evenings in our common room. We’ll watch silly YouTube videos, finish up our assignments, and just chat. Sometimes there are homemade baked goods and blankets involved, and there’s always lots of laughter. It is a wonderful (and hyggeligt) way to round out my Sunday.